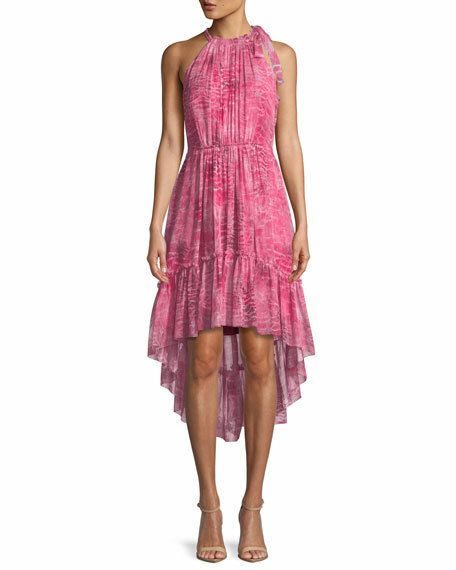 Milly "Rose" dress in hibiscus floral print. For in-store inquiries, use sku #2370407. A.L.C. 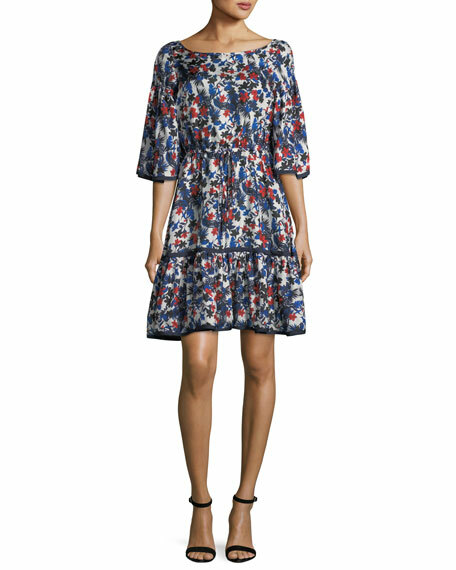 "Misha" floral-print silk dress. Ruching at side flatters figure. One-shoulder neckline. Short, billowy sleeve. Hidden side zip. Slim silhouette. Mini length. Lining, polyester. Imported. 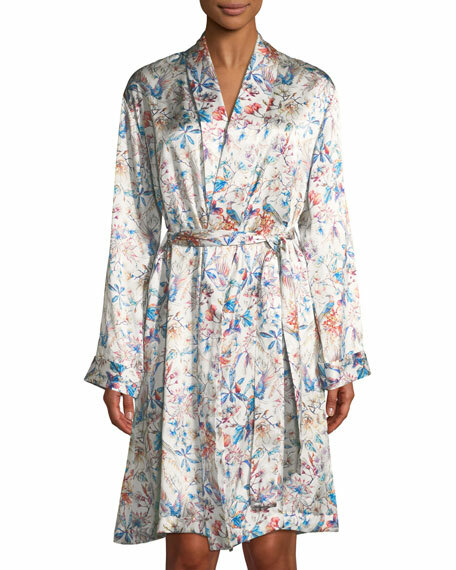 Co dress in floral-print silk charmeuse. V neckline with ties. Pouf shoulders. Long sleeves; button cuffs. Fabric belt. A-line silhouette. Hidden back zip. Midi length. Imported.